It's Metro Day at H&M this Thursday, September 8! 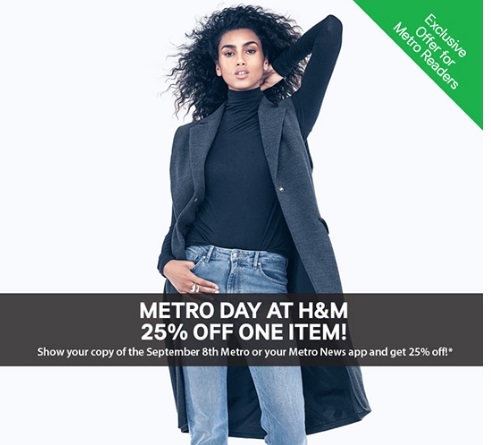 Show your copy of the September 8 Metro or Metro News App and get 25% off any one item in-store! This is exclusively for Metro readers. Offer is valid for one day only.